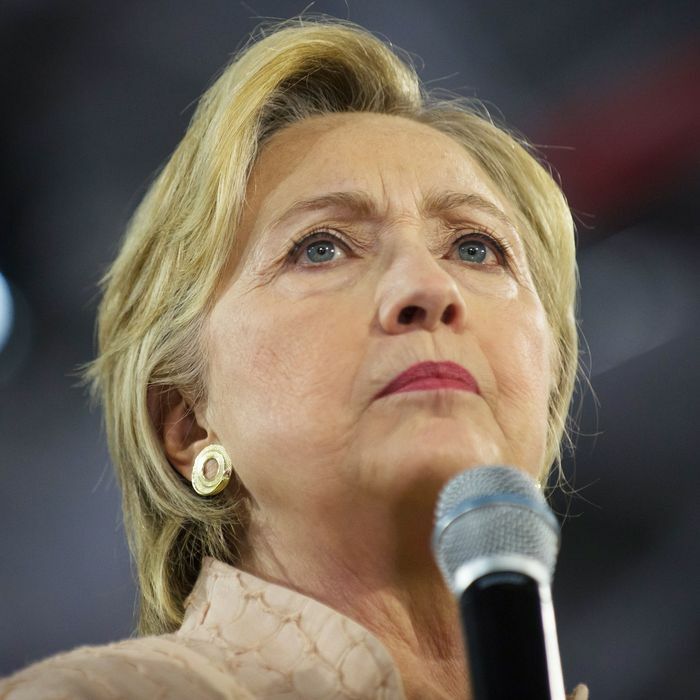 If she is elected president, Hillary Clinton could immediately face conflicting (and equally futile) advice from centrist and progressive Democrats. At this climactic stage of the presidential contest, with some polls still too close for comfort and debates still ahead, it’s doubtful much of the brainpower of Team HRC is focused on what she will actually do if elected. But at Politico today there was a preview of the kind of advice she’s going to be getting from different factions of the Democratic Party — none of it, frankly, very useful. Grover Cleveland, you see, was the last Democratic president to initially take office (in 1885) without his party controlling both houses of Congress. Cleveland was also, as it happens, the beneficiary of a serious Republican Party split (the so-called Mugwump revolt against the allegedly corrupt James Blaine) that in some respects resembled the revolt of some GOP elite elements against Donald Trump this year. If Cowan knows his 19th-century history, however, he may have some problems with 21st-century history. Barack Obama’s efforts to “govern from the center” both in 2009, when his party controlled Congress, and in 2011, when it did not, were equally futile thanks to Republican obstructionist unity (yes, he did get a few Senate Republican votes for a stimulus package in 2009, at a huge cost in its size and structure, but that’s it), unless you want to count the momentary cease-fires to avoid or end government shutdowns as “bipartisanship.” All the preliminary signs are that Republicans would if anything be more hostile to a President Clinton, particularly if she wins some sort of plurality victory that the exit polls interpret as a negative referendum on Trump. Indeed, fighting Clinton tooth and nail will be the only available avenue to Republican unity as the first step in its post-Trump revival. But if the Third Way “centrists” are asking Clinton to repeat Obama’s mistakes after taking office in a significantly weaker position than her predecessor, Democratic progressives seem likely to demand something equally futile. Clinton is facing similar pressure from the left when it comes to sticking to her campaign promises. “Appointments will be the first taste that people get, as to whether she is going to think big and be willing to dare Republicans to oppose populist positions and appointees,” said Adam Green, whose group, the Progressive Change Campaign Committee, will be one of a host of progressive organizations advocating to appoint anti-Wall Street crusaders to posts like Treasury secretary and chief of staff. Green added that the left will be pushing Clinton to begin her administration by “daring Republicans to oppose her” on big-ticket items like expanding Social Security and instituting debt-free college. The probability that Republicans would gleefully take up a “dare” to oppose a Sanders-style democratic-socialist agenda — and for that matter “populist” appointments that require Senate confirmation — is somewhere between 99 percent and 100 percent. The idea people like Green seem to cherish is that an aroused populace would then rise up and smite Republicans in the 2018 midterms. That would defy every historical precedent, aside from the reality of a recent Democratic turnout disadvantage in midterms that is to some extent about pure irrevocable demography (close alignment with groups that simply don’t and won’t show up in non-presidential elections), and the fact that Republicans will have perhaps their most favorable Senate landscape ever in 2018. Perhaps wrong-footing Republicans on popular lefty policy initiatives will benefit Democrats in the long run, but that’s cold comfort to a President Clinton taking office in 2017. It does not bode well for Democratic unity in 2017 or 2018 if one faction is pushing Clinton toward a suicidal surrender to Republican priorities (and to be clear, only surrender will suffice to move Republicans toward her) and another is demanding the magical creation of an imaginary progressive consensus. She has indicated on more than one occasion that she understands governing in the polarized environment of the current era involves a tough, painful slog culminating in small victories — not some sort of bipartisan satori or an ideological Revolution From Above. That is probably the most realistic perspective of all, and one she will need to convince frustrated donkeys of every persuasion to adopt.